OREGON, Wis. – The ARCA Midwest Tour has released its schedule for the upcoming season, which will feature 10 stops at eight facilities in Wisconsin and Illinois. The season will begin on May 5 at Madison Int’l Speedway for the 200 lap, $10,000-to-win Joe Shear Classic. A busy month of May will see the tour then travel to State Park Speedway in Wausau, Wis., on May 18. Jefferson (Wis.) Speedway is next on the schedule and will play host to the Salute the Troops 100 on May 25. Wisconsin Int’l Raceway is next on the schedule, playing host to the tour on May 27 as part of the new Triple 50’s event. Also featuring the Fox River Racing Club, both groups will compete in separate 50-lap features and the top finishers in each race will the compete in a third 50-lap race. The fifth stop on the schedule will see racing return to The Milwaukee Mile in West Allis, Wis. For the first time since 2014, the super late models will be back in action at The Milwaukee Mile on June 16. Joining the Midwest Tour will be the Midwest Trucks, Mid-American Stock Cars and Upper Midwest Vintage Series. Two weeks later on June 29 the annual Kar Korner All-Star 100 will take place at Rockford Speedway. 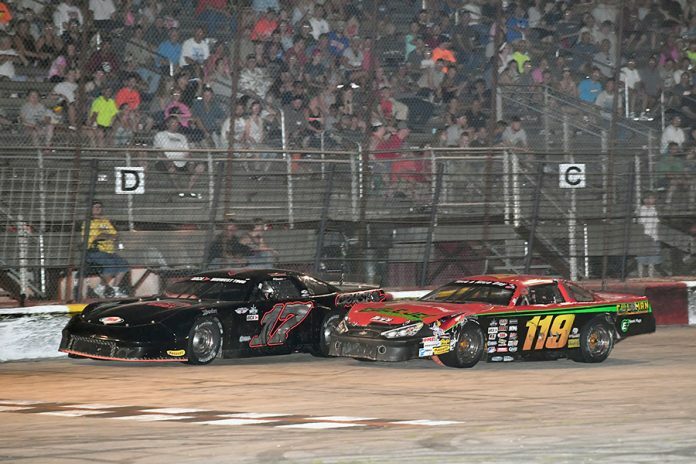 The tour returns to Wisconsin Int’l Raceway on Aug. 6 for the $10,000-to-win Dixieland 250. The series heads back to Madison Int’l Speedway on Aug. 16 for the running of the 100-lap Howie Lettow Classic. August will wrap up with a trip to Dells Raceway Park in Wisconsin Dells, Wis., on Aug. 31. The season finale will once again take place during Oktoberfest Race Weekend, held annually at LaCrosse Fairgrounds Speedway in West Salem, Wis. That race is scheduled for Oct. 6. May 5 – Madison Int’l Speedway – Oregon, Wis.
May 18 – State Park Speedway – Wausau, Wis.
May 25 – Jefferson Speedway – Jefferson, Wis.
May 27 – Wisconsin Int’l Raceway – Kaukauna, Wis.
June 16 – The Milwaukee Mile – West Allis, Wis.
June 29 – Rockford Speedway – Loves Park, Ill.
Aug. 6 – Wisconsin Int’l Raceway – Kaukauna, Wis.
Aug. 16 – Madison Int’l Speedway – Oregon, Wis.
Aug. 31 – Dells Raceway Park – Wisconsin Dells, Wis.
Oct. 6 – LaCrosse Fairgrounds Speedway – West Salem, Wis.